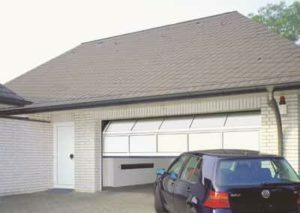 Does Your Garage Door Open by Itself? It seems like an unusual problem to have, but it is possible! If your automatic garage door opens by itself, it can be a security concern for your property. Find out what’s causing your garage door to open on its own and how to stop it with these tips. Firstly, do a quick look over the door and the automatic mechanism. When a garage door opens on its own, the issue might be a loose wire in the motor, or the sensor may be stopping the door from closing completely. Other things to look for are bare or pierced wires, and damaged casing around the motor. If you find problems with the wiring, call a service technician to come and take a look. Undue strain on the opener may also cause problems, so test the weight of the door regularly by manually opening it. If you find it difficult to open, call a technician to examine it and find the source of the problem. An automatic opener, just like other mechanical devices, needs regular servicing to keep it in good working order. Dust it thoroughly and wipe down the chains and sensors to ensure they can receive a clear signal. In addition to the opener, other parts of a garage door require maintenance as well. Springs, hinges and rails need regular dusting and oiling to prevent seizing. If you want to adjust the sensitivity of the garage door opener to prevent accidental opening and closing, you can do this yourself by following the instructions in the owner’s manual. For some older models of garage openers, radio frequency interference can be a problem. Baby monitors, wireless door chimes, heating systems and other equipment that uses wireless transmission can interfere with the signal to your automatic opener. Try switching off the devices and trying your garage door remote again. A garage door that opens on its own is definitely a security concern, so it’s worthwhile having it inspected. Steel-Line Garage Doors service division can help with maintenance requests, ensuring your door functions safely and securely. Call us today: 1300 767 900.